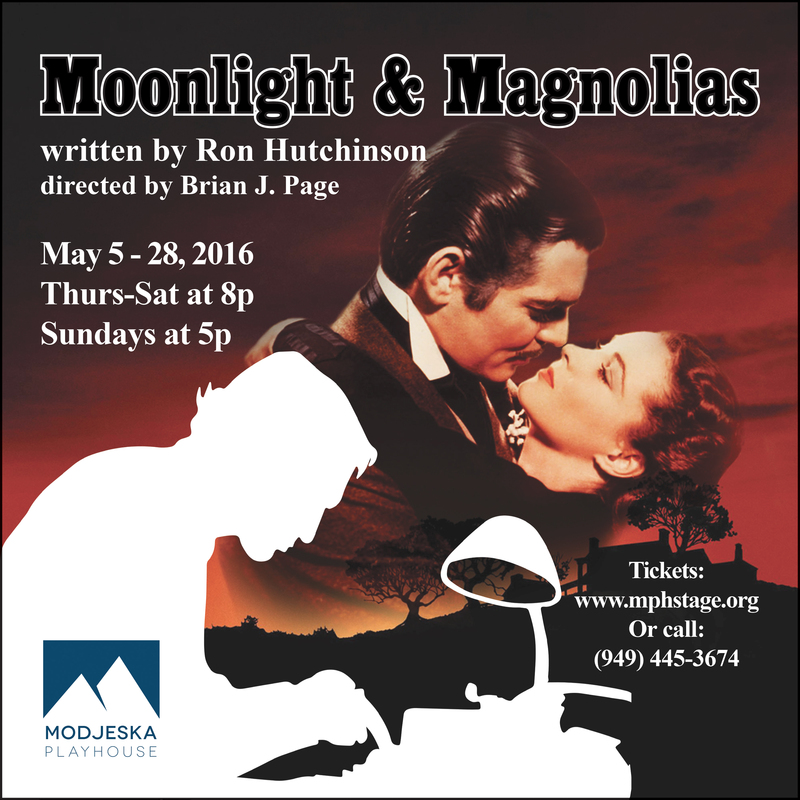 Modjeska Playhouse is proud to present Moonlight & Magnolias! Legendary film producer David O. Selznick is five weeks into shooting ‘Gone With the Wind’ when he realizes the script is awful, and that the director doesn’t have a clue. He has five days to replace them, and restart the shoot, or the production will shut down. Selznick calls Victor Fleming from the set of ‘The Wizard to Oz’ to direct, and he taps legendary playwright, screenwriter and script doctor Ben Hecht to rewrite the script. There’s only one problem: Hecht hasn’t read the book. Over the course of five madcap days, the three men, assisted by Selznick’s assistant, Miss Poppenghul, frantically craft one of the most beloved screenplays of all time. As Selznick and Fleming act out the book for Hecht, the phone rings off the hook with calls from the likes of Vivien Leigh, Louis B. Mayer and Ed Sullivan. Hutchinson’s play, based on historical events, is written as farce, but the characters also deal with serious questions about race and the fragile position of Jewish executives in Hollywood. DISCOUNT PREVIEW NIGHT Thursday, May 5 – Every Ticket Only $20!